As risk continues to rise with rapid progress sometimes leaving vulnerabilities unchecked, the demand for physical security, the tried and true barrier between real assets and those seeking to steal or destroy them, will grow along with the risk. A combination of fear generated from media responses to so-called “terror attacks”, advancements in tech in general, and the growing use of IP cameras to perform video surveillance are expected to push the growth of the physical security market worldwide. this growth is expected to be from $84.1 billion in 2018 to $199.4 billion by 2023 with a CAGR (compound annual growth rate) of 7.3%. This report details how the services segment of the market is expected to have the fastest growth rate. Physical security is indispensable for enhancing existing video surveillance through integration of digital (IP) solutions and integrating them with modern IT and network environments. Of course, the larger enterprises are expected to be at the bleeding edge as this all occurs over the next few years, but this doesn’t mean that small or medium businesses need to miss out. 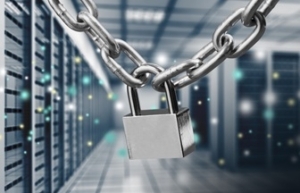 While the big players have the greatest pools of revenue to draw from and more infrastructure to protect, the smaller enterprises can see just as much or greater benefit by implementing integrated IP-based physical security sooner rather than later. The best time to step up your security will always be before the attack comes, and not as a reactive measure. Security Technology of South Texas is a leading provider of cutting-edge physical security products. We have the experience and attention to detail to give you the best for your money when it comes to IP cameras, access control solutions, monitored video, and more.